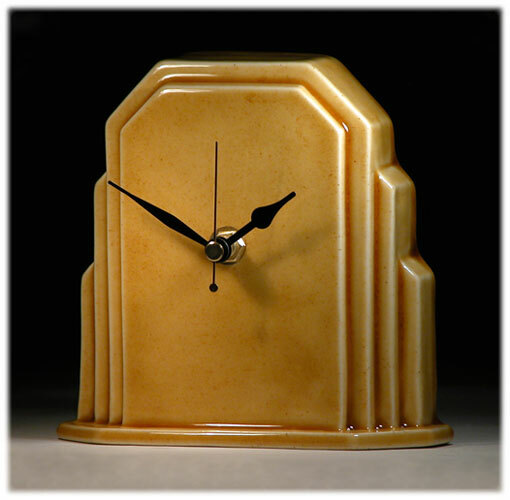 The idea for this stylish mantle clock comes from the distinctive Art Deco architecture used on the Odeon cinemas during the 1930's, England. These wonderful buildings with their geometric facades are instantly recognisable and can still be seen in many cities and towns all around the UK. This piece has been finished in Echo Of Deco's own Amber Sunrise glaze, but is also available in many of the studio's other unique glaze colours.